Kisii High School is a public national boy’s school established in 1934 to provide quality secondary education to young pupils. The mandate of the school is to implement the government’s educational programmes with the view of developing their potential in national leadership. Formerly known as the Government African School (GAS), Kisii High School is among the first seven schools that were started by the South Kavirondo Local Native Council. The school which has remained an academic giant at national examinations and currently under the leadership of principal Casper Maina has produced the who is who in the country’s top political leadership as well as other professionals. Over the years, despite Mean fluctuations, the school has been performing well in the Kenya National Examinations, with over 100 students joining competitive university courses every year. According to Maina, Kisii School is a centre of excellence and for this has maintained an open door policy to continually share its best practices with schools and institutions from Kenya and allover the world. Among those who have passed through the Kisii School are Kisii Governor James Ongwae who was also a proud resident of Ruri House. He cannot hide his delight at being an alumnus of the school. 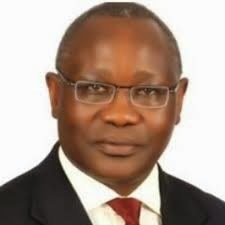 It is not just Ongwae who is an old boy of the school and a governor, other former students who are governors are John Nyagarama (Nyamira), Wycliffe Oparanya (Kakamega) and Cornel Rasanga (Siaya). Apart from the governors, other politicians who were once polished by the school are MPs Dalmas Otieno (Rongo), Jimmy Angwenyi (Kitutu Chache North), Richard Onyonka (Kitutu Chache South) and James Gesami (West Mugirango). 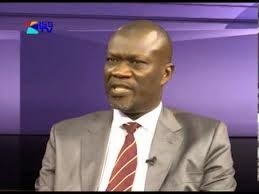 Others are former West Mugirango MP Henry Obwoncha, Kisii Senator Chris Obure and former Cabinet Minister Simon Nyachae. Apart from politicians, Kisii High School has produced men who have served Kenya in various high-profile roles such as vice chancellors like Prof Michieka Ratemo (Jomo Kenyatta University of Agriculture and Technology), Fredrick Onyango (Maseno University), Prof Douglas Odhiambo (Moi University) and Jeremiah Keya (Moi University). The list of academicians, politicians and professionals that passed through the Kisii School is endless and cannot be exhausted. This is a clear testimony that the school has and will remain an academic giant nationally. The school’s academic success can only be attributed to good management exhibited by Maina and with full support of his hard working teachers, the board, PTA, parents and the students. Maina who is a team player relies on the support of his teachers and the school Board of Governors and the P.T.A to oversee smooth running of the institution while the daily routine business of the school is run by the Office of the Principal. For the school to rise and retain the high academic standards, the school has the Academic Boardwhich consists of the Director of Studies who also chairs the Board meetings and two Deputy Directors. The Academic Board ensures curriculum implementation and all evaluation programmes in the school run smoothly. In education, there can be no success without discipline, Kisii School has a Disciplinary Board chaired by the deputy principal and which comprises one senior teacher and house masters. This team consisting of committed teachers who act as a link between the school and parents on discipline issues. The school also has a Guidance and Counceling department which is a key department in fostering the school’s goals and mandate as illustrated in the school motto; ‘strive for excellence’. The Boarding Department at Kisii School is mandated to ensure all students are accorded comfortable and safe accommodation for a conducive learning environment. High standards are maintained in line with the Ministry of Education’s guidelines. For the teachers to give their best and to dedicate their energies, expertise and time to their students, their welfare must be taken care of. Kisii School teachers’ welfare is run and managed by teachers to cater for their social and personal needs. Every teacher at Kisii School has an obligation to be a member of the welfare and participate actively in its programmes. The teacher's welfare helps in boosting teachers’ morale by creating conducive environment thus improving efficiency. At Kisii School, Class teachers are very important people in the school set up because they are the first people to know students progress both socially and academically. On students’ management, traditionally, the school captain and other captains are selected from form four classes while other prefects are selected from form three. In any school environment it is important that students take part in some activities apart from just reading. These activities should preferably be of someone’s own interest and likeness. The impact of recreation on personal health cannot be overlooked. It boosts good behavior since all games demand discipline among the players. Kisii School offers a great range of sporting activities for the students’ recreation. All the activities are co-ordinated by various teams which have team heads and captains. The teams also have team teachers who help in organization of the students and have the responsibility of taking the teams for external functions. The performance of the teams is relatively good. The school’s Mission Statement reads “Kisii School, aims at offering homely support and a holistic education founded on strong principles of discipline, character formation and leadership development. While the Vision Statement is “To be a global centre of excellence in youth development, effectively providing leadership and academic skills geared towards promotion of a just and caring society that is founded on high moral standards”. While the School’s core values are Internationalism, Democracy, Environment, Adventure, Leadership and Service. Kisii School boasts of a diverse background of students from able families, to orphans and vulnerable children in society that have been successfully integrated and educated.